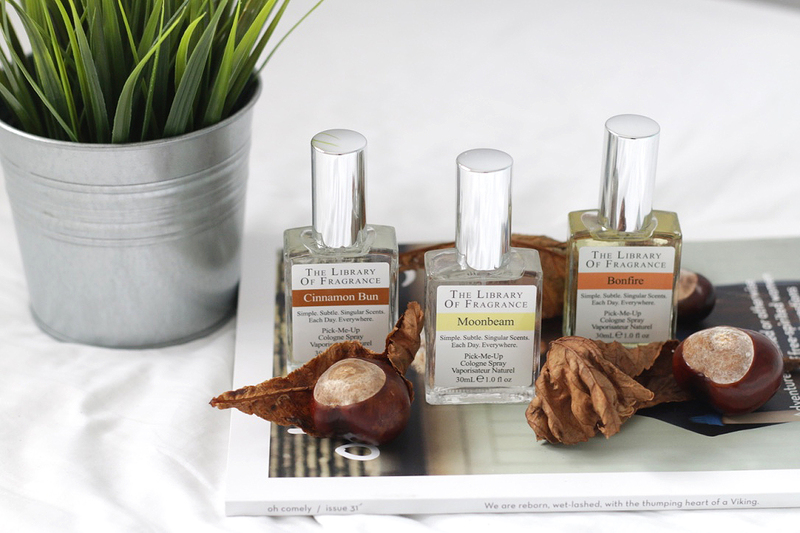 The Library of Fragrance* are a brand I’ve had on my radar for a long time, since Zoella raved about one of their gingerbread scents & seeing them on the shelves in Boots. They’ve always intregued me as they offer very unique scents, that other brands probably wouldn’t do. What better time to try out some of their fragrances than autumn? 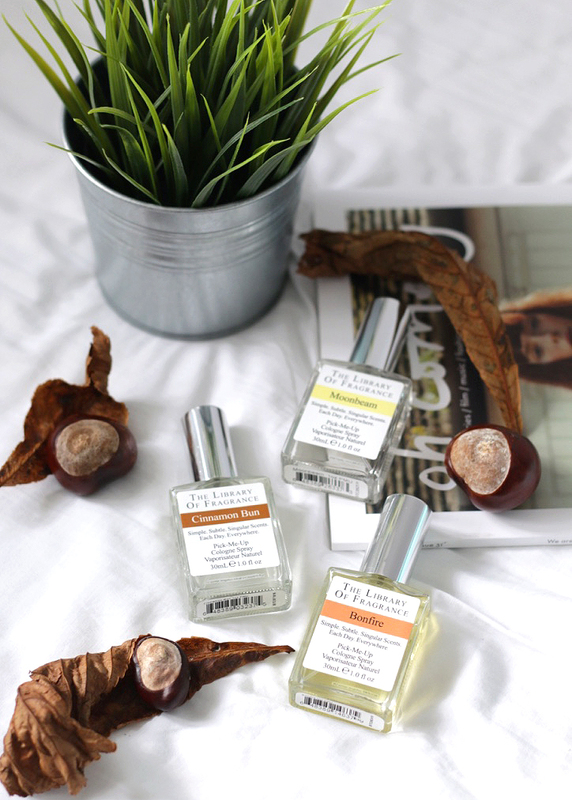 They have a handful of amazing seasonal scents, and I got to try out these three! First up, one that I was genuinely so excited by – the fragrance Bonfire*. I swear there is no better smell in the autumn time than the smell of a bonfire, am I right?! There’s no denying this doesn’t smell like a bonfire, its quite strong but still really lovely. This is a scent thats great for layering against other ones, and mixes so well with the other two I picked! Onto Moonbeam*. Ahh this is literally such a gorgeous scent. I like this one on its own, as its quite musky and perfect for this transitional time of year. I feel as though this could be quite a unisex scent, but uhh I’d recommend having a sniff of this one next time you’re in Boots! Last but by no means least, Cinnamon Bun*. I am a huge cinnamon lover, and it just screams christmas to me. This is really sweet smelling, and replicates the smell of cinnamon buns pretty well. I’ve actually enjoyed spraying my room with this, as well as wearing it because it just smells THAT good. I’ve layered this with moonbeam and that was really lovely. Although its really good on its own. This is definitely going to aid me through the winter months! All in all, I love all three of these scents and think they’re sooo perfect for going into the colder months! Have you ever tried anything from the library of fragrance?